Saturday, May 30, 7:30 pm. Your host? Why, Ron Kravitz, of course. It’s a night of dance, improv, storytelling, music, and just good times. It’s a reunion performance of Playback Theatre — one you won’t want to miss. PLUS you’ll also get to enjoy the award-winning Jenkintown Select Vocal Ensemble under the direction of Alyssa Davidson. She’ll be collaborating with percussionists Quint Lange, Ron Kravitz, Sam Torres, and Steve Corsover. Playback Theatre is an alternative theatre, a community forum, a place to explore the relationship between the personal and the political, between the individual and the collective. It’s an opportunity to hear and be heard, to recognize how we are similar and how we are different… to see our lives on stage. Playback Theatre will feature Bobbi Block, Eric Brunner, Dance Wareham, Jeanette Ponder, Kristen Bissinger, Ron Kravitz, Sarah Halley, and Tom Bissinger. The performance is spontaneous — it is theatre created through a unique collaboration between performers and audience weaving together spoken word, dance, music, storytelling, and physical theatre in an improvisational form that can be serious, deeply moving, and often hilarious. The Jenkintown Select Vocal Ensemble, under the direction of Alyssa Davidson, is comprised of students whose ages range from 13-16 who enjoy the choral experience and sharing their love of music with others singing both traditional and world music. 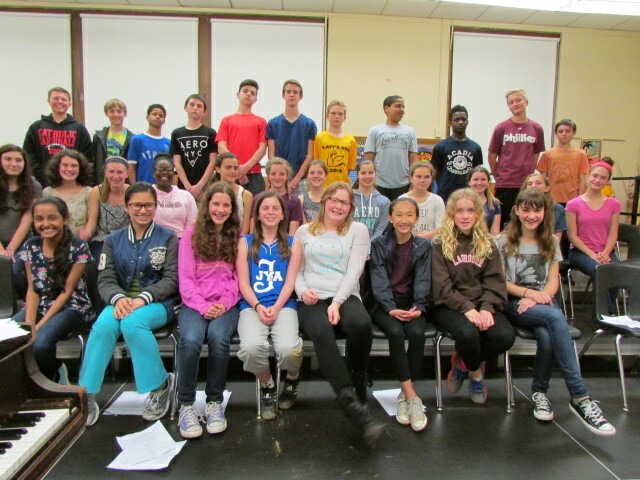 The middle school vocalists will be performing at the Music-in-the-Parks Choral Adjudication in Hershey, Pa. The high school vocalists have just returned from Boston, Mass. where they participated in the Heritage Festival Adjudication, rating first in their division. You won’t want to miss this event. $20 admission at the door, kids under 12 free. General seating. Ron Kravitz was first introduced to the Djembe (West African Drum) by the late and great Nigerian master drummer, Babatunde Olatunji. Today Ron has amassed a collection of over 650 percussion instruments from around the world. It is here that he facilitates weekly Community Drum/Music/Vocal Improv gatherings, and in the basement he hosts Underground at Ron’s. Ron is a facilitator for the Music for People organization which is dedicated to teaching and facilitating the art of music improvisation. 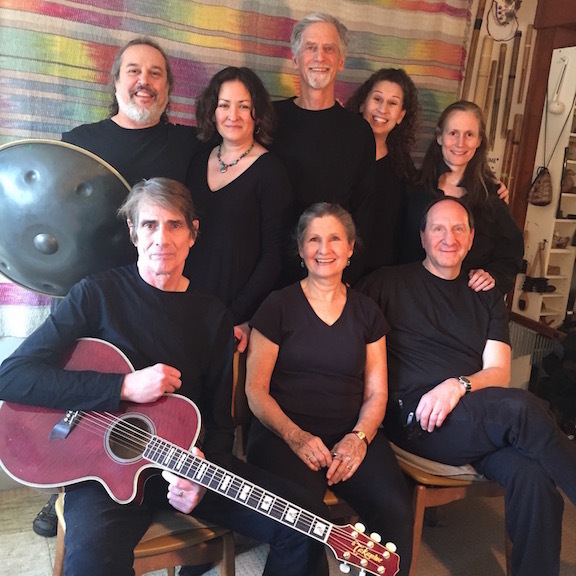 For the past 32 years, he has been percussionist for Philadelphia’s Group Motion Dance Improvisation Workshop and is the acting musician for two of Philadelphia’s Playback Theatre ensembles. Alyssa Davidson is the Choral Director at Jenkintown Middle/High School. She conducts the Vocal Experience, Concert Choir, the Honors Chorale, Just the Guys— Male Ensemble, and The BelleTones, the schools’ all female A Cappella choir. Ms. Davidson is the founder of Flutterbye Theater Company, a non-profit children’s theater company, housed at the Cheltenham Art Center. 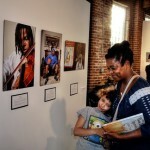 Ms. Davidson has her BA in Fine Arts/Music and her Masters Degree in Multicultural Education, from Eastern University.